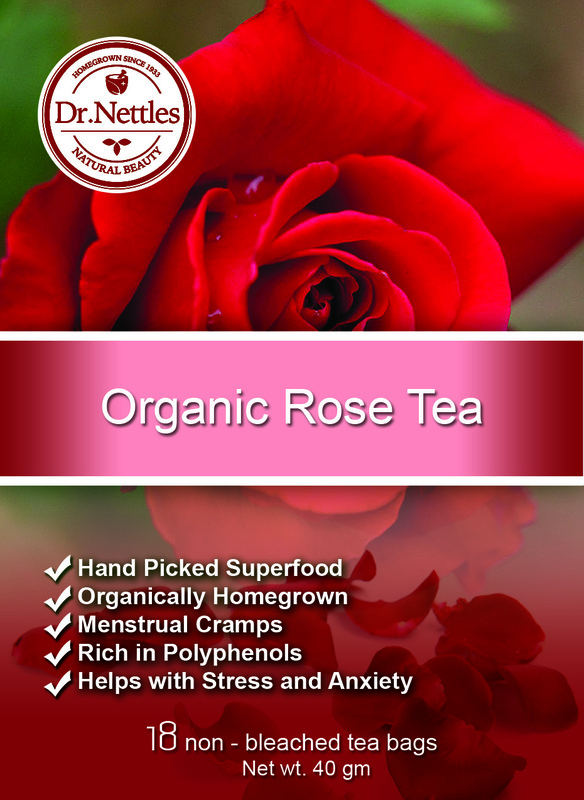 Rose tea has traditionally been used around the world to alleviate some of the symptoms of menstruation, in particular to ease painful cramping. It is also used to help skin problems such as acne and help with healthy hair growth. It is an immune booster, helps with sore throat, improves digestion, helps with stress, anxiety , urinary tract infection, weightloss and is caffeine free. Homegrown, organic and handpicked.